Eltham produced a 0.4 (4) to 0.2 (2) upset win over St Mary’s in tough conditions. After 32 points separated the two sides only a month ago, the Panthers turned the tables and applied great pressure to a usually fast-paced Burra outfit. With the sides contending with each other, as well as the rain, wind, hail and a slippery deck at various points throughout the match, scoring opportunities were difficult to come by. Despite the Burra having more of the ball in the final term, they were able to add only the two behinds, with the Panthers coming out on top at the final siren. Krystal Cullinan and Rhiannon Burleigh handled the slippery ball the best for the Panthers, while Kerry Crockett and Amy Mitchener stood tall in the wet for the Burra. 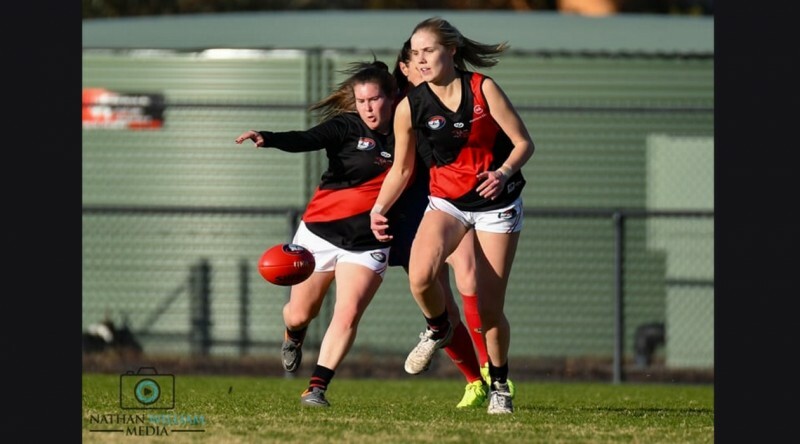 Having won three consecutive knockout finals, Eltham will be aiming to carry its red-hot finals form into the grand final where it will meet undefeated Bundoora. The match to also be streamed live on the NFNL Facebook page.